The weekend of June 17 and 18 saw a record number of 74 people Australia wide assessed for all three grades of amateur licence. Many of those assessed were less than 18 years of age with large groups of young people in Adelaide, Canberra and Sydney. The Hornsby & Districts Amateur Radio Club (HADARC) conducted the largest number of assessments, they conducted a Foundation Licence course at Killara Scout Troop, Carlyle Road, East Lindfield. Paul Tame VK2HPT (Killara Scout Leader) organized Scouts and some Troop Leaders from Killara, 1st Sailors Bay, Kuringai, 1st Berowra, 2nd Gordon, 1st Asquith, 1st French's Forest, 1st North Turramurra and 1st Hoxton Park Scout groups to attend the course. There were 37 candidates for the course supported by 3 WIA Assessors, Peter VK2ZPT, Tony VK2BTL and Rod VK2DAY, WIA Invigilator Mal VK2HSV and HADARC assistants Steve VK2HIP, Rose VK2HOP, Kirsty VK2HKJ and Neil VK2HNS. Of the 37 candidates, 33 were found competent and are not only looking forward to becoming amateur radio operators but will also qualify for the Scouts operators merit badge. The 4 candidates who didn't quite make it have shown true Scouting spirit and will be sitting the course again on July 1. Not all of the 37 candidates were scouts, 4 of the dads also attended the training and all 4 were assessed as competent and will also shortly be on air. Paul Tame VK2HPT is operating on Friday nights at the Killara Scout Hall sharpening up the new and mostly young operators for when they receive their licences in a couple of weeks time. 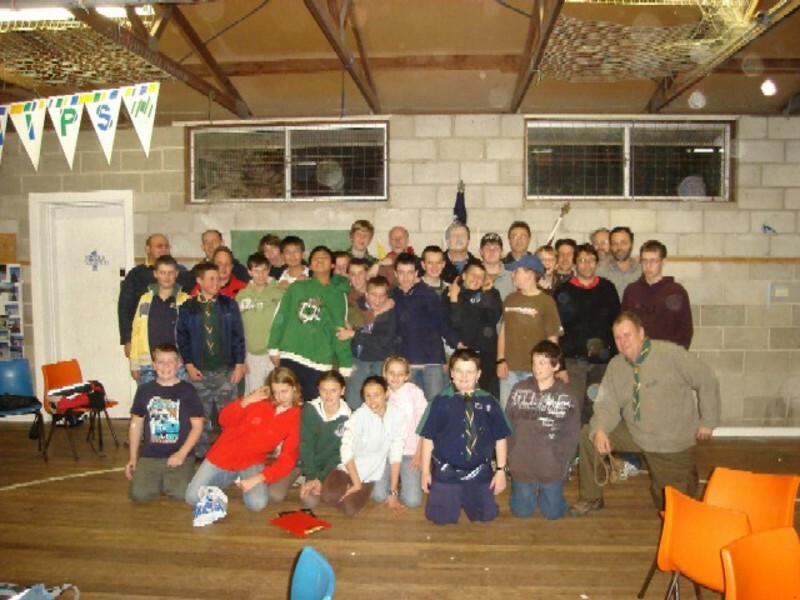 Peter Tolmie VK2ZPT, reports that an even larger group of 40 scouts and a few mums and dads will be trained in two groups in the coming weeks and we can expect to see around 75 new young operators on air from Sydney's leafy North Shore. The office has been extremely busy coping with the high demand for assessments and we can expect a large number of new amateurs in the coming weeks as we shipped 11 advanced packs, 82 foundation, 19 regulation and 16 standard assessment packs, a total 128 for the week ending June 16. The total number of foundation licence packs shipped to assessors since we started in October 2005, is 1,390. We are also about to start work on the printing of the next edition of the foundation licence manual as we expect to ship the last of the 5,500 manuals printed by October this year. In a few weeks time after completion of the processing of the latest round of assessors we will have Australia wide around 180 assessors and more than 50 groups conducting training courses and assessments. The number of licensed amateurs is starting to grow rapidly, membership of the WIA is growing fast and those clubs who have been involved with training have indicated a very large growth in membership.